Worried about your body’s toxic load? Are you looking for natural ways to detox? Do you feel it’s possible to protect your body from toxins and you want to learn how? Are you looking for ways to create health from the inside out? 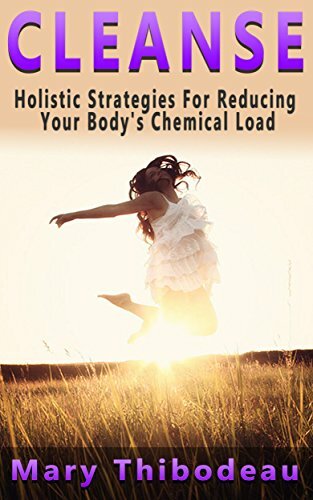 Start reducing your body’s toxic load today with this definitive guide to identifying chemical threats and strategically eliminating them from your life. The methods presented in this book provide you with numerous, easily implemented options for reducing your chemical exposure immediately. Our bodies our literally inundated with toxic chemicals from all angles of life: from the food we eat and the drugs we take, to the water we drink and the air we breathe, toxins now threaten our health on a wide spectrum basis. In this book we will look closely at the major sources of common toxins that find their way into our bodies and discover ways to avoid their ill effects as much as possible to support our inner vibrancy. I wrote this book for people wanting to reduce their personal toxic load – to give them many choices for eliminating dangers.By adopting just a few of the strategies outlined in this book, you can make a difference in your health, starting today. Download your FREE copy today on Kindle Unlimited!